Veronica Kainz was worried. 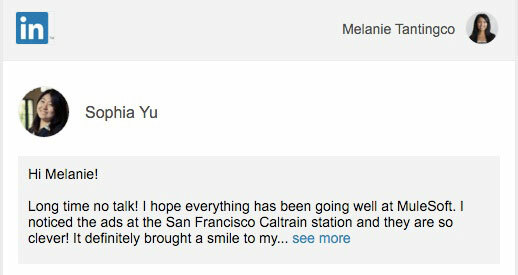 She was about to ask her MuleSoft colleague Paul Davidian if she could plaster his picture all over the Caltrain station in San Francisco. It was for recruiting after all. But still, he could easily say no. To her surprise, he said yes. Six others said yes too. Veronica was thrilled and relieved. She and her team had spent weeks building superhero characters around their co-workers as part of MuleSoft’s first formal talent campaign. 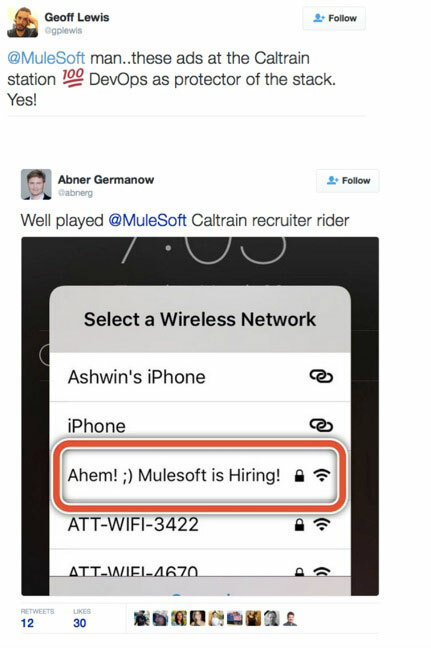 As a high-growth company, recruiting is MuleSoft’s #1 priority. 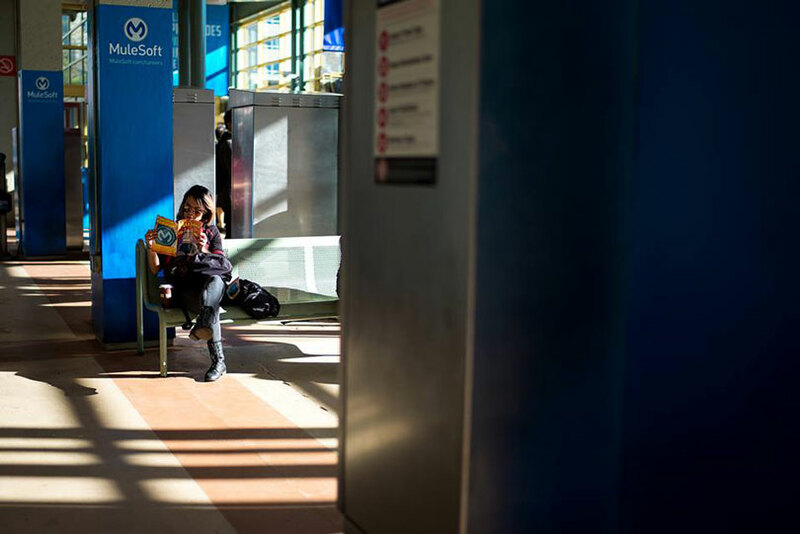 It recently launched a six-week recruitment campaign in a Bay Area train station that featured seven employees as modern-day superheroes. They created 30 pieces of art to wrap the entire train station – from pillars to walls to floors - influencing 220,000 daily commuters. 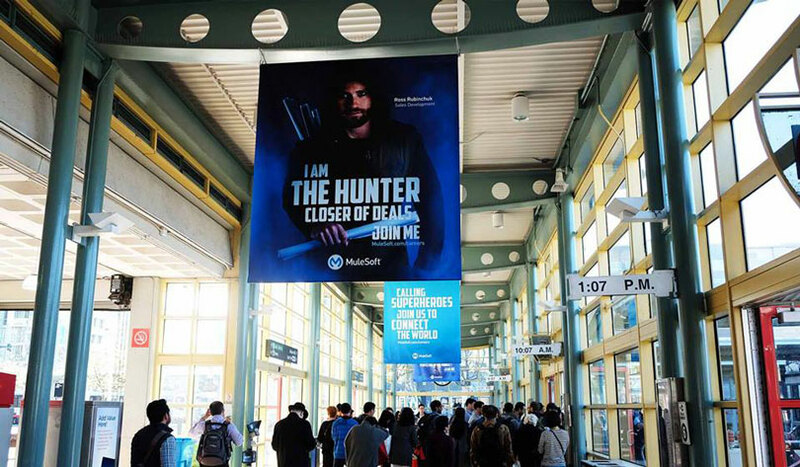 “By showcasing the extraordinary talent of our own employees and highlighting their superpowers, we aimed to attract candidates of the same caliber,” says Melanie Tantingco, a MuleSoft recruiting manager. 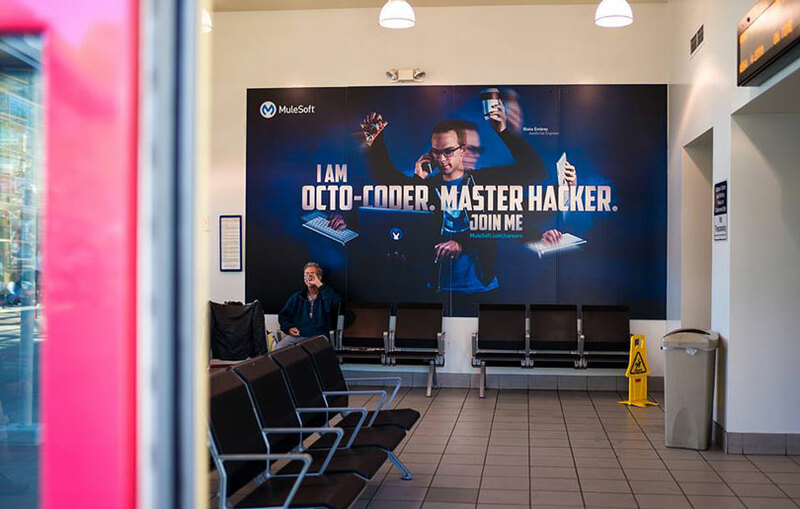 MuleSoft’s five-person in-house creative team drove the success of the campaign and used their collective skills to do all of the casting, costuming, copywriting, photography, lighting, special effects and art production. The team only outsourced hair and makeup. 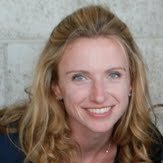 “By running the project in-house, we maintained more creative control and costs were minimal,” adds Veronica. By relying on the internal talent of Veronica Kainz (creative direction) Chris Payne (art direction) Michael Hindman (photography) Ken Grobe (copy) and Liza Gray (wardrobe and prop design), most of the campaign costs were free. On launch day, members of the recruiting team rallied at the station to generate additional buzz during commuting hours. They were carefully trained to work alongside the company’s mascot, Max the Mule, to help tell the MuleSoft story and answer questions. Instead of recruiting brochures, they distributed custom comic books, complete with a $5,000 referral reward advertised on the back cover. 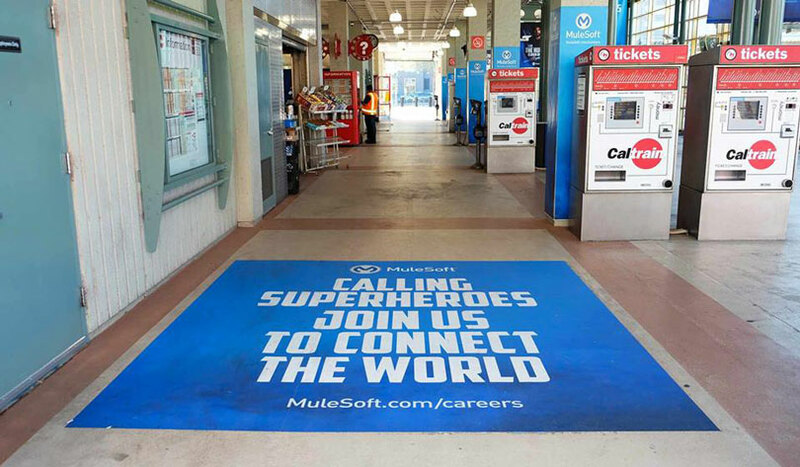 There’s no question MuleSoft’s superheroes have been victorious in attracting talent. The company has seen a 20% increase in career page traffic in the Bay Area, far exceeding expectations. In the first week of launch, it saw a 40% increase in Sales Development, a 66% increase in Software Engineering, and a 44% increase in Product Management applications for the roles it was actively promoting. The campaign has also boosted internal morale. Veronica’s initial nervousness in asking employees to participate is now amusing considering some are requesting to be in the next campaign. “People want to be a part of something big, especially when they see employees having fun,” she says. The only significant cost of the campaign was the Caltrain space, and it only took the team about three months from idea to launch, with the majority of that time spent on concept development. Not only did MuleSoft keep costs down and boost morale by using its own employees, but elevating them to celebrity status shows candidates how deeply the company values and appreciates its talent. MuleSoft isn’t a household name, so the company has the additional hurdle of brand awareness. That’s why it leveraged the ad space to attract talent and showcase its colors, logo, and mission. Look carefully, and you’ll notice there’s always a MuleSoft “M” in the art – whether it’s imprinted on a shield, tattooed on an arm, or sewn into a cape.